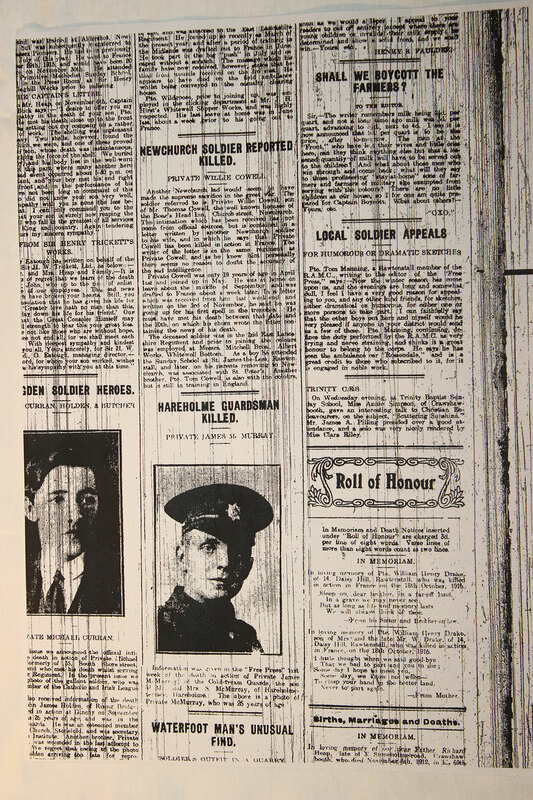 In September 1999, after many years of searching by family members and before First World War military records became accessible via the internet, our parishioners Kathleen Testa and her son and daughter-in-law, Michael and Jackie, travelled to Gorre, a small village in the Pas de Calais region of France. 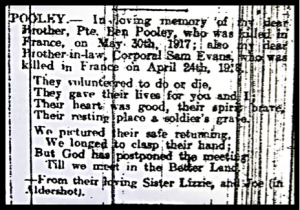 There, in a cemetery first established in 1914 for troops of the British Expeditionary Force, they found the grave of their uncle (and great-uncle) Ben Pooley, a soldier with the 2/5th Battalion of the East Lancashire Regiment, killed in action some 72 years earlier, in 1917. Even after so many years, tears of pride, sadness and relief were shed at the graveside. Benjamin Pooley was born on 16th September 1897 to George and Mary at their home at Alma Cottages, in the Fallbarn area of Rawtenstall.  Neither George nor Mary were local by birth – George was from Ely in Cambridgeshire and Mary from Co Meath, Ireland – but like many other families in the industrial revolution era, they had settled in the town, probably because of the availability of work. They were parishioners at St James the Less church, where Ben was baptised soon after his birth, on 17th October. Four years later, in 1901, the census record shows six children in the family, but ten years on, in 1911, only four. The reason for this is also shown on the same record; by 1911 George and Mary had suffered the deaths of no less than seven of their thirteen children – infant mortality at its worst. The years ahead were not going to be any easier for them either, with the coming war soon to see them lose Ben as well. Like most children at that time, Ben left St James the Less school at a young age and went to work in a cotton mill. Although it is not known just how old he was when he started work, a photograph kept by Kathleen shows Ben at probably little more than 12 years of age, with his workmates in one of the local mills. This photograph, like others taken of Ben over the next few years, shows him with something of a wry smile on his face; seemingly happy with life. 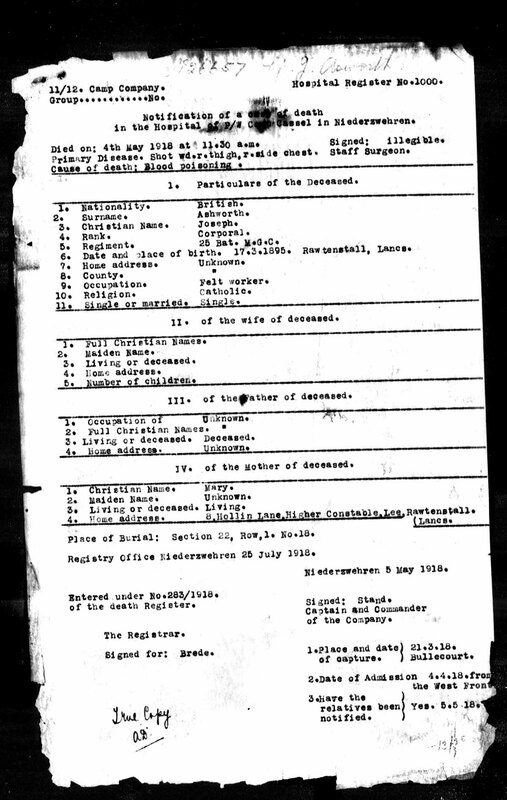 It is not known when Ben enlisted with the East Lancashire Regiment – his military record is one of the many destroyed in World War 2 – but bearing in mind that volunteers could not enlist until 18yrs of age and then not be posted overseas until 19yrs, Ben must have spent at least the first 2 years of the war on home ground. Another undated, but no doubt wartime, photograph shows Ben and 3 other young men standing proudly with a young Army Lance Corporal. Ben, in work clothes, would most probably have been around 17 years old at the time and one can only wonder what happened to this group of ‘pals’ as the war took its toll. 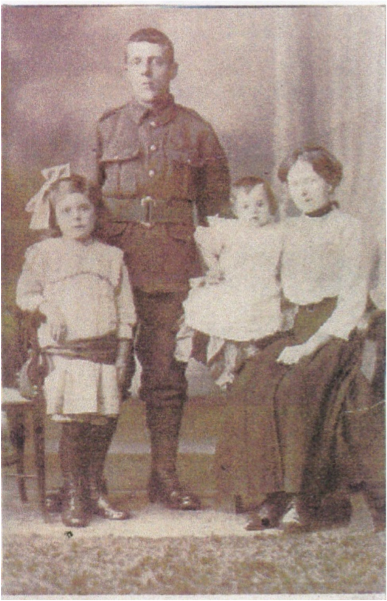 Other photographs of Ben show him after enlistment, with fellow soldiers of his Battalion. May 1917 saw the 2/5th Battalion in France, on the Western Front near the small town of Bethune and close to the German defences. On the night of 28th May a party of about thirty soldiers was deployed to raid and secure information from a German strong-point. Ben was on this mission and was one of 5 soldiers wounded in the raid. Ben’s wounds were serious, so much so that he was taken back to a field hospital, most likely the 33rd Casualty Clearing Station established at Bethune. However, he could not be saved and sadly he died 2 days later, on 30th May. Details of how and when Ben’s parents were told of his death are unclear, but it was certainly soon because of his hospital admission and the certainty, unlike with many others, as to his fate. 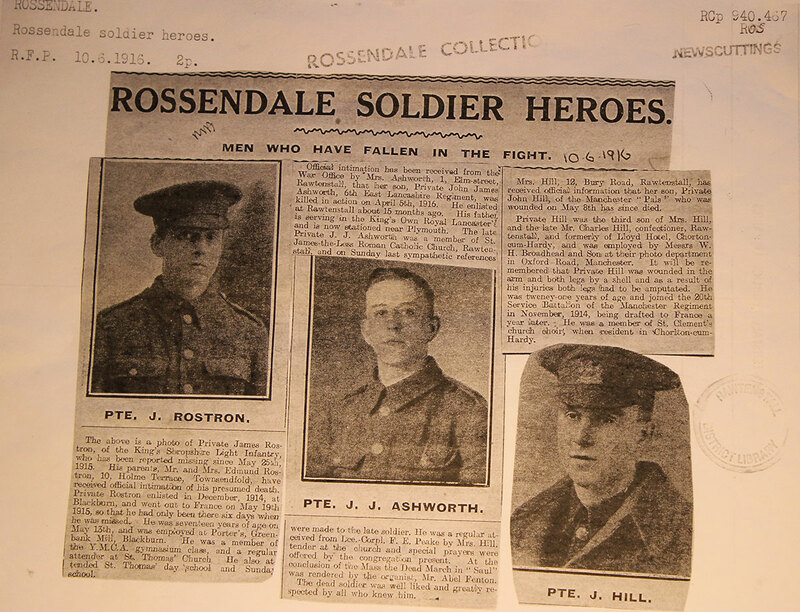 Whenever the news did arrive, it must have been a terrible blow to lose another young son, as evidenced by the family’s words of love expressed in tributes to him in the Rossendale Free Press of 8th June 1918. Ben was buried in the nearby cemetery at Gorre, with a service likely to have been carried out by the hospital padre. His grave was marked with a wooden cross, a photograph of which was later sent back to his parents. In September 1917 Ben’s father George also received Ben’s personal effects from the Regiment’s Fulwood Barracks. After the war, the Commonwealth War Graves Commission assumed responsibility for every grave in what was then named the Gorre British and Indian Military Cemetery, re-setting and re-naming every one with the all too familiar white headstones. The grave to ‘Private 240813 B. Pooley’ was the one sought out and found by Kathleen and her family in 1999.